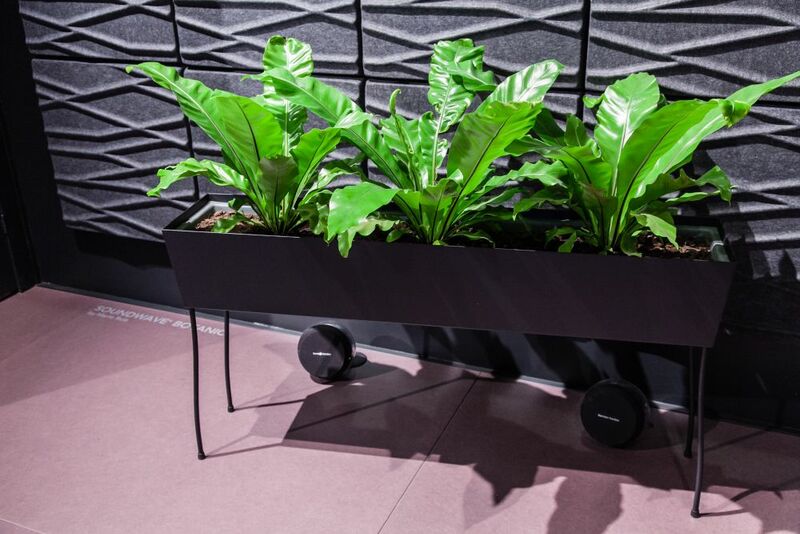 Planters help us bring a little piece of nature inside our homes. 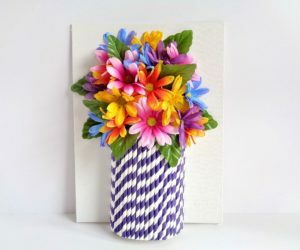 They make our homes feel fresh and vibrant and they sometimes have a double purpose, serving both as containers and as decorations. 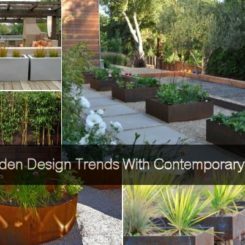 Standing planters are interesting because they showcase and display the plants in a beautiful and almost dramatic manner. 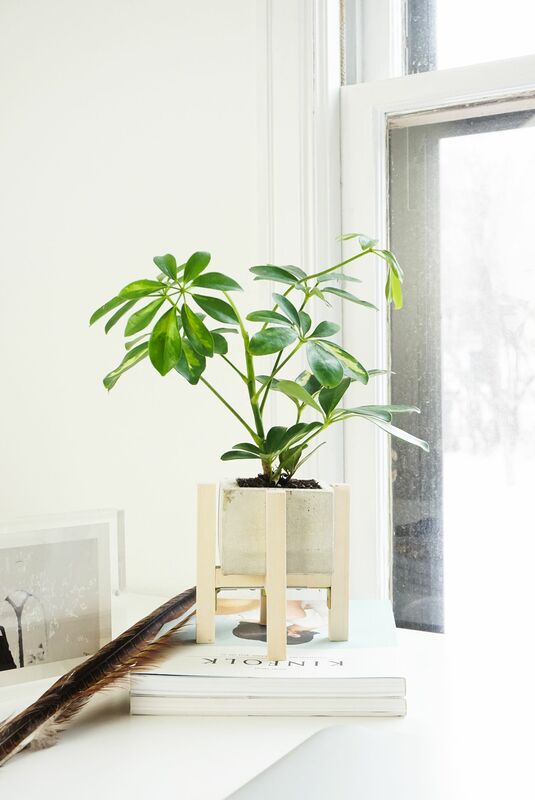 Check out our selection of indoor plant stands to find the style that suits you best. 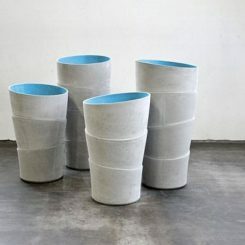 These beautiful standing planters are designed by Concetta Giannangeli. 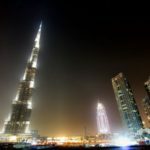 They’re handwoven using threads often found in fishing nets and each one is unique and original. 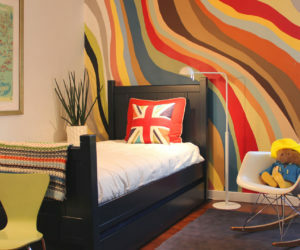 Each one is showcased on a varnished steel base covered in colored polyethylene threads. 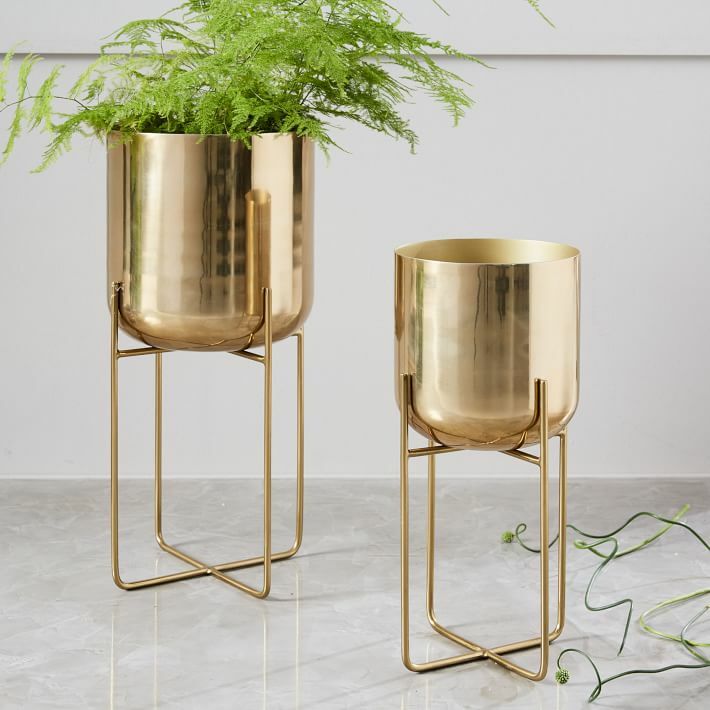 Inspired by traditional planters, the Green Pedestals collection revives the classic design and turns plants and greenery in general into a rich decor element able to enhance almost any type of environment. 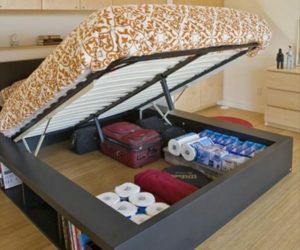 This particular model can double as a space divider, serving as a small oasis for spaces like the living room, dining area, work area and even a kitchen, bathroom or bedroom. 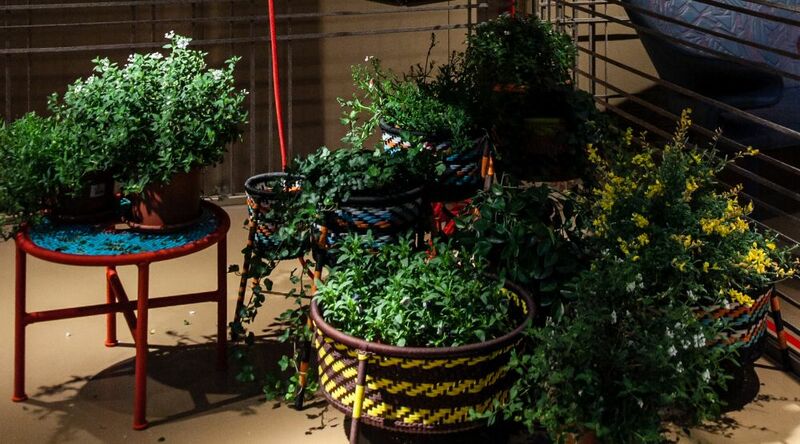 When he was looking for inspiration for the Green Pads, Luca Nichetto decided to randomly place a bunch of different-sized flowerpots on the ground next to each other. He then removed them and left the saucers in place. 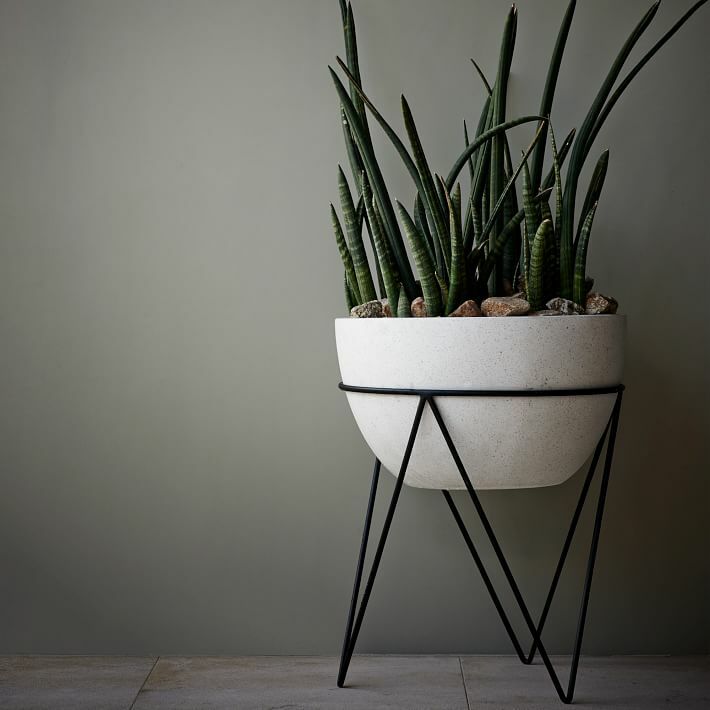 The shape was processed and eventually became this stylish standing planter. 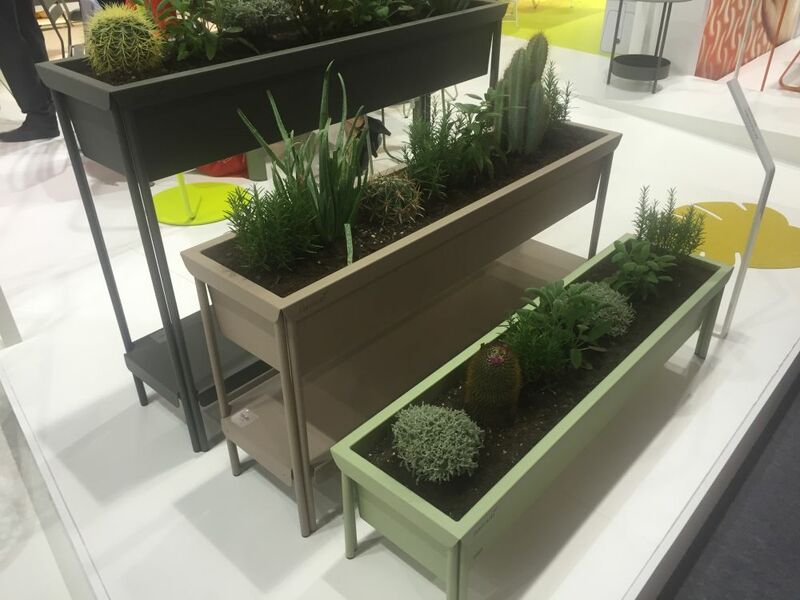 The cool thing about standing planters like Terrazza is that they can double as space dividers. 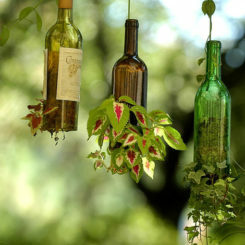 This is a wonderful way of introducing greenery into a space in a practical way. 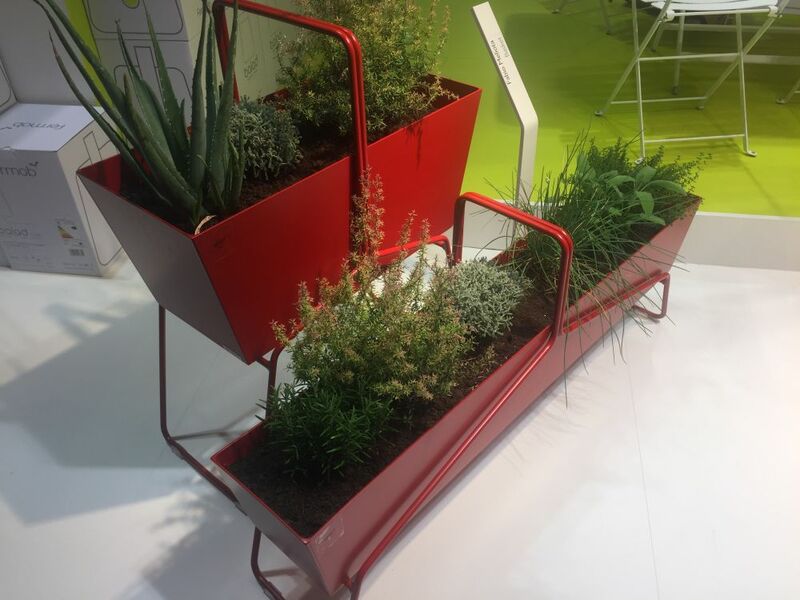 These planters have simple and versatile designs and, above all, they’re very durable and hard-wearing which makes them a perfect fit for patios and outdoor spaces in general. 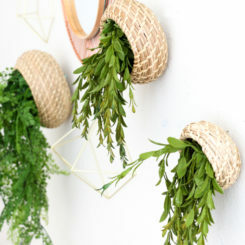 This basket-shaped planter series is a playful interpretation of a traditional concept. 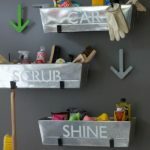 It’s designed with a steel rod frame and handle and an aluminum tray with two holes with plugs to let water out. 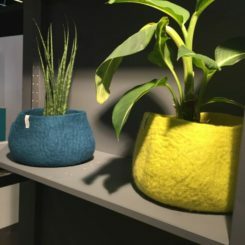 The Basket planters are suitable for both indoor and outdoor use and they come in various funky colors. 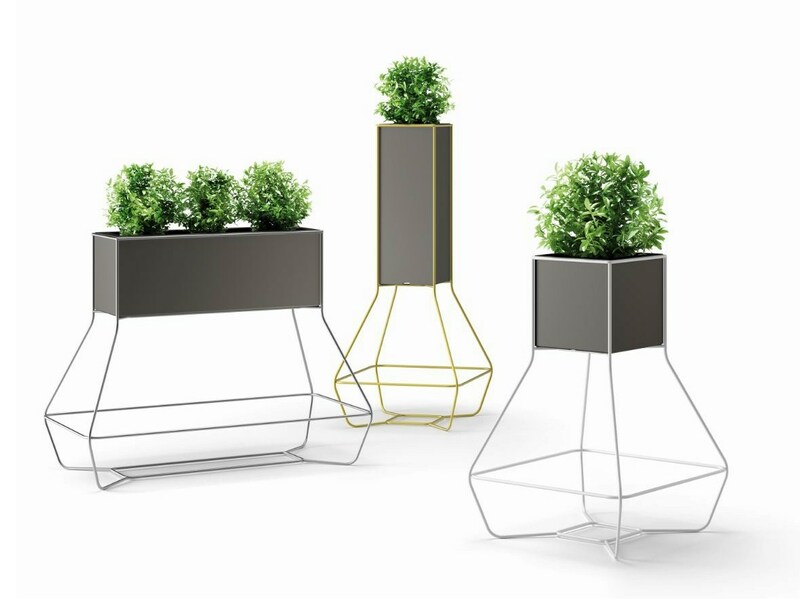 The Halful series is a collection of totem-like standing planters that look like stylish and modern vases. 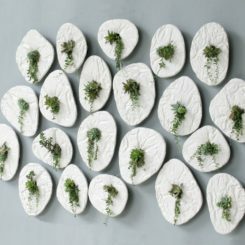 They’re simple and sculptural and they’re made of polyethylene while the frame that holds them is made of metal. 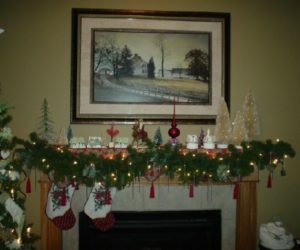 The relationship between the frame and the planter is a beautiful and elegant one. 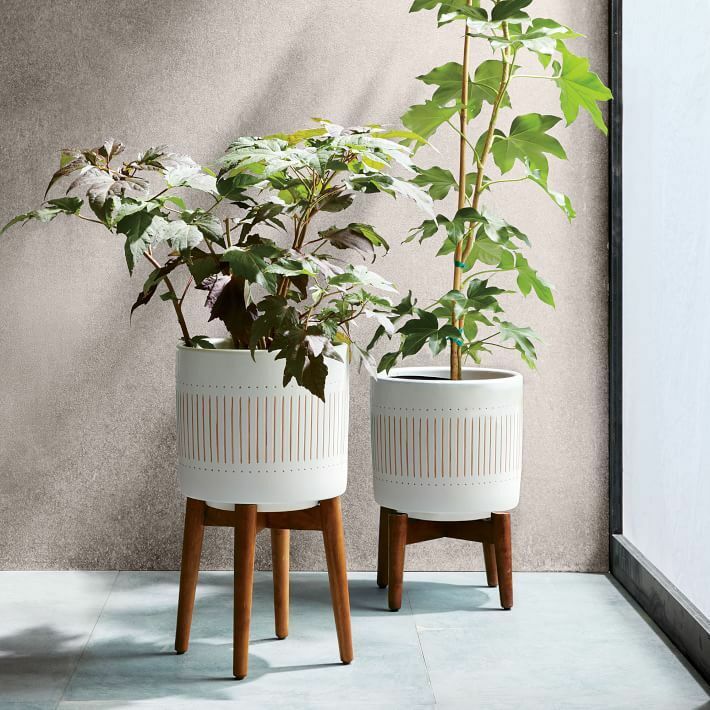 Designed for indoor use only, these planters have chic designs inspired by the ’50s and ’60s. They put together stands with tapered wooden legs and ceramic blows that mimic the look of logs. 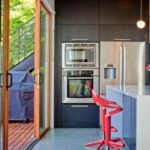 We found these on Westelm and we fell in love with their mid-century modern charm. 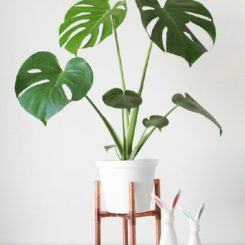 A planter should enhance the beauty of the potted plant it holds and should also serve as a decoration for the room it stands in so pick a style that matches or complements the decor. A space with a simplistic and neutral decor could use a touch of glamour. Consider one of these Spun Metal Standing Planters. They’re made of aluminum and they have a brass finish. 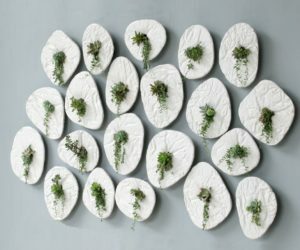 The role of a standing planter as opposed to a simple one is to look lightweight and to ensure an airy display. 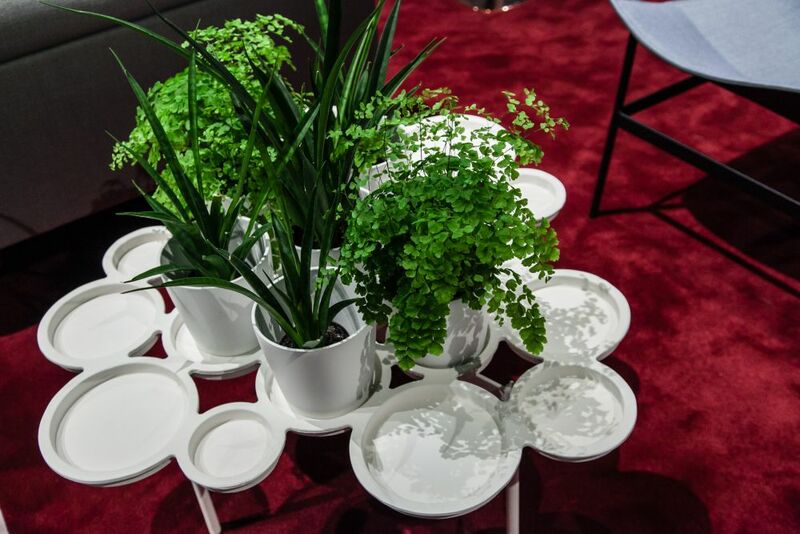 The Iris planter does that in an exceptionally successful way. 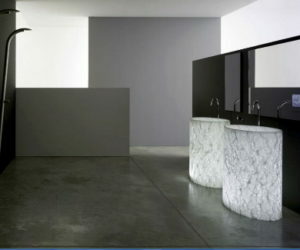 It’s s set composed of a pedestal made of powder-coated steel and a planter made of a stone and cement composite material. 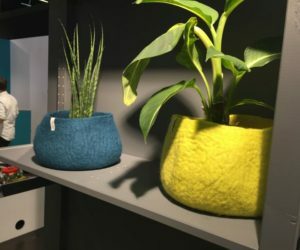 Available in two different styles and six color option, the Pad Outdoor series features stylish and modern planters that are hand spun from aluminum, with a powder-coated finish which ensures their durability. 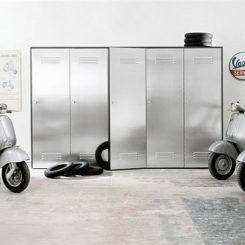 They can sit directly on the floor or they can displayed o steel stands which give them a lightweight appearance. 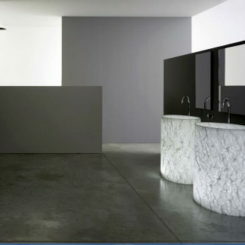 It has a very sleek and sculptural silhouette and it’s able to hold several planters on two different levels. 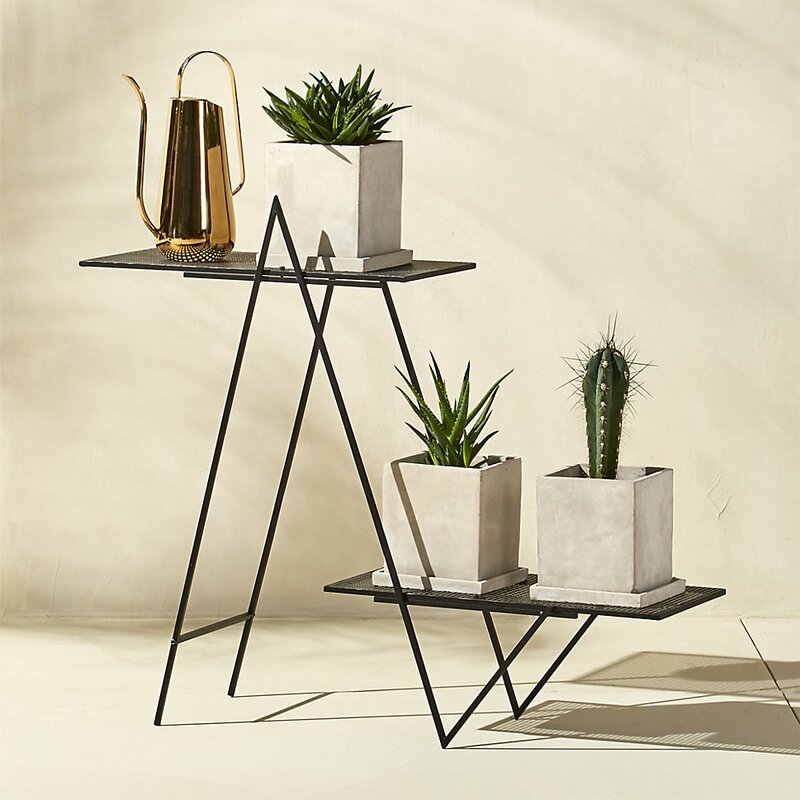 This Angled Plant Stand has a slender metal frame with a black finish and two mesh shelves. 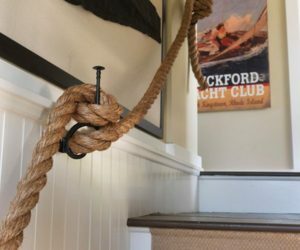 It’s the type of accessory we can easily picture in a variety of settings and configurations, including a stylish entryway, a modern-industrial living room, a rustic bedroom or a simple office. 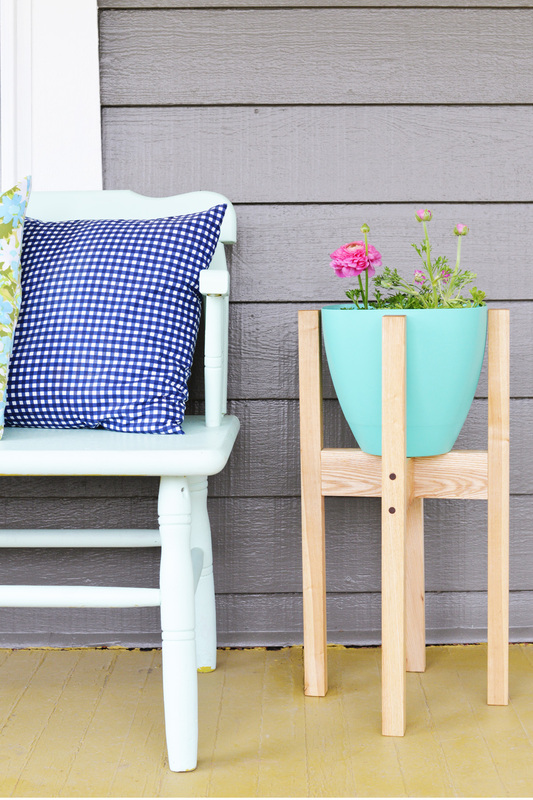 We’re big fans of DIY projects so, naturally, we have a few things to share with you on that. 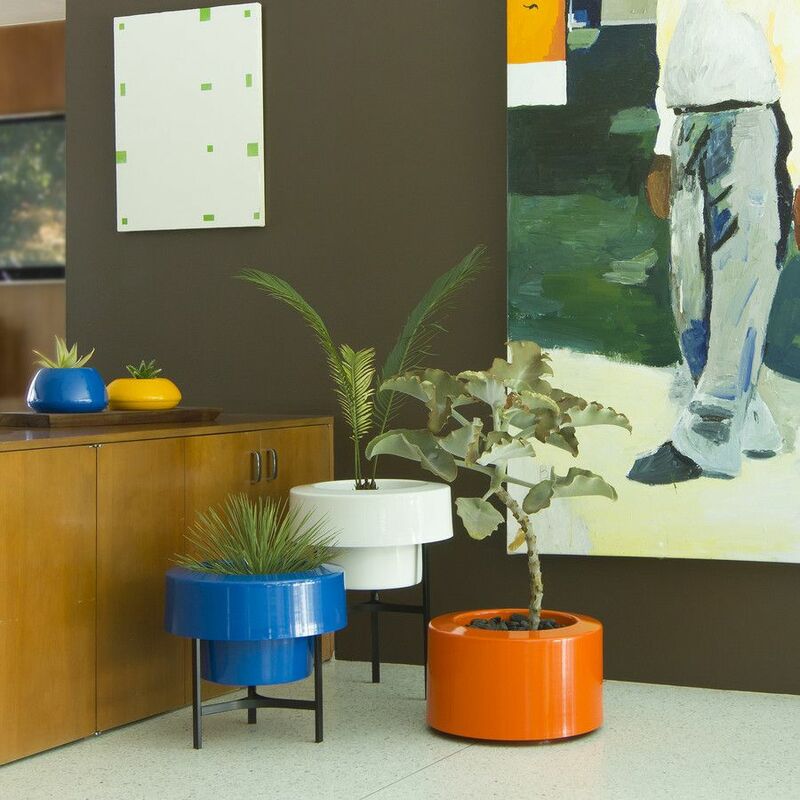 This mid-century inspired planter is one of them. 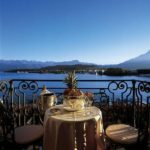 It’s a relatively easy project which you can customize based on the type of planter that you want to use. 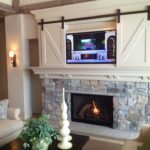 The stand can also be customized with your choice of paint or stain. 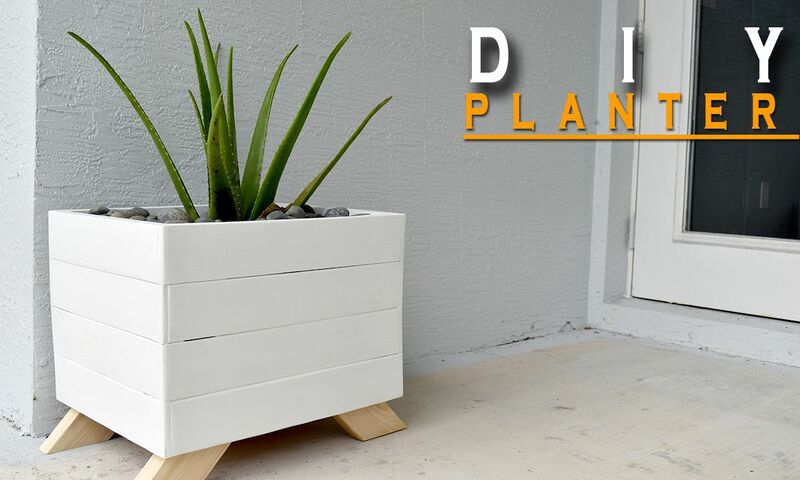 This is another great project that lets you build a planter and a stand from scratch. 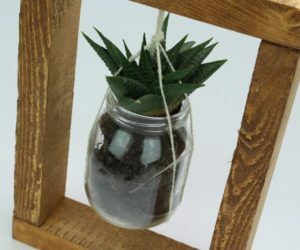 You’ll need quick drying concrete for the planter and some wood for the frame that holds it. 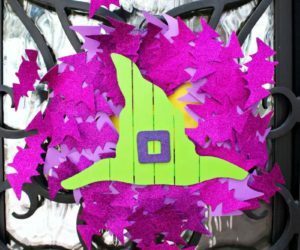 It’s not as messy and as difficult as it may seem and, in addition to that, it’s also really simple and easy to personalize in various different ways. Check out the full tutorial on this concrete and wood stand. Another great and at the same time very simple and affordable idea is to build a planter out of a wooden pallet. 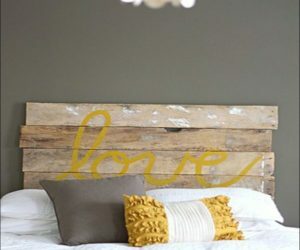 Check out this pallet planter design if you like simple and chic decors. 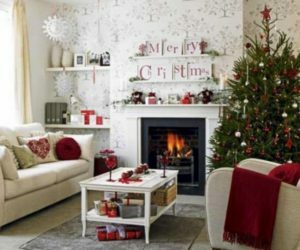 You could use it indoors or take it out on the porch or in the garden.